Ask yourself, what are the advantages of 5-10gms of carbohydrates (often as dextrose or maltodextrin) that are in some PreWorkout products? PreWorkouts (taken 20-30mins prior to exercise) are designed to prime your body for exercise, give you increased focus, energy and flood your body with performance enhancing micronutrients. Consuming that amount of carbs 20-30mins pre-workout isn’t going to have a performance enhancing effect so why have them in there? It is the same with 500mg – 1000mg of Creatine Monohydrate per-serving. Why have such a low dose of such a poorly available form of Creatine? It makes no sense. If a manufacturer wants to put Creatine Mono in a PreWorkout at least use a viable dose, i.e. 3gm + OR use a more bio-available form like Creatine HCL. Well there is a reason and it is to fool you in to thinking you’re getting good value. You see carbs and Creatine Mono are cheap, very cheap. They’re used as cheap fillers in PreWorkout products to boost full-product size and the serving size. Increasingly we’re seeing a lot of PreWorkout products with upto 75% carbohydrates in them. This means that the retailer & manufacturer can afford to sell them at some cases, below £20. The truth is that some of these products are actually just very EXPENSIVE forms of carb supplements. This week we’ve seen 2 PreWorkout products that contained 50% carbs and 74% carbs respectively. The spec on these products was awful. One was priced at £19.99 and the other at £23.99. You know something, as a consumer you’re probably thinking, “wow great prices”. But when you consider that both products were 300gm and one contained 150gm of carbs the other 225gm of carbs, they really don’t look good value at all. The headline prices should have been below £9.99 with those specifications. Now don’t get us wrong Carbohydrates play a key role in exercise / training. We aren’t telling you not to take Carbohydrates. Taken INTRA-Workout they can be really useful depending on your type of training and goals. Taken post workout they obviously aid recovery. What we are telling you is look at the labels on PreWorkouts. If they contain ANY added carbs or low dose Creatine Monohydate, ask yourself why and then look at the dosages of other ingredients. Chances are you’re being ripped off! 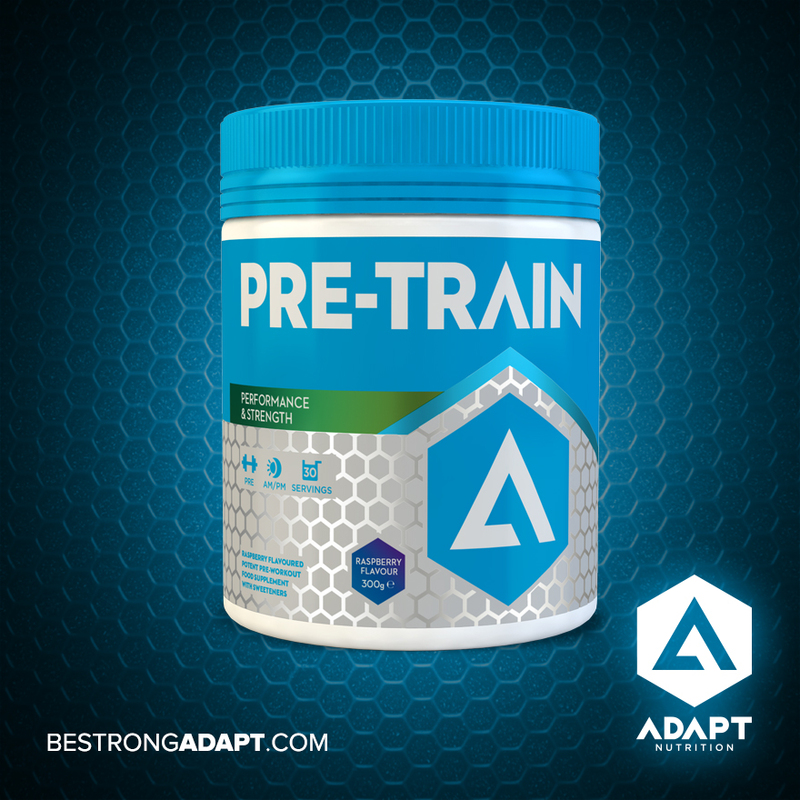 Adapt PreTrain is free from ALL cheap fillers. Every single ingredient in PreTrain is a potent active that will have performance enhancing effects. Every ingredient is dosed within the optimum range.